a kind of amputation in which a straight, guillotine cut is made without skin flaps. 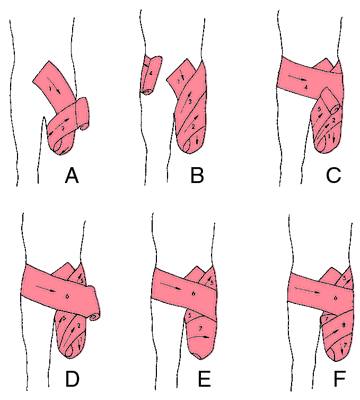 Open amputation is performed if an infection is probable, developing, or recurrent. The cross section is left open for drainage, and skin traction is applied to prevent retraction. Antibiotic therapy is begun, and surgical closure is completed when the infection clears. Compare closed amputation. See also gangrene. An amputation after which the stump is left unsutured (without skin flap closure) for several weeks while débridement and antibiotic therapy are carried out. Closing the stump before the wound is free from bacteria or debris increases the risk of infection and compromises healing.